We are inviting students and staff of all ages and experience to submit a maximum of three photographs in the categories of 'Culture', 'Environment' and 'Portraits'. 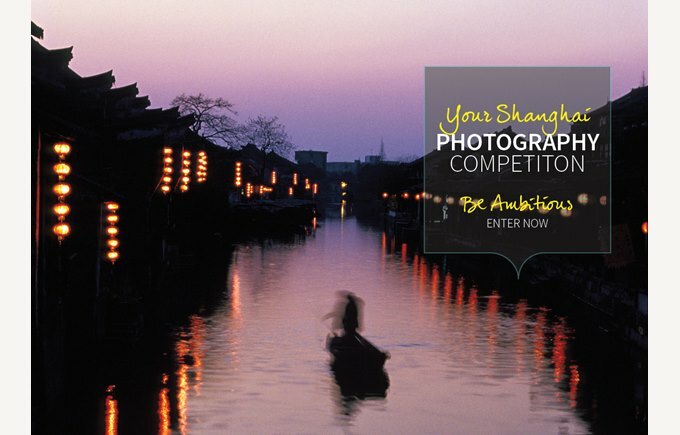 A selection of photographs will be chosen from the entries and will be part of an exhibition in Shanghai. The work will be auctioned and the proceeds will go towards the Huaxin Rehabilitation Centre. What does culture in Shanghai mean to you? Take a photograph that depicts your take on the local culture; it could show traditions amongst a tight-knit community or large-scale cultural gatherings such as festivals. You can look at local food, daily activities you observe, the way people dress, travel or communicate with each other. Capture your local environment through a photograph; perhaps you want to illustrate the naturally beautiful qualities of your environment, or the fast moving pace of the city. Find inspiration in the faces of people around you and take a portrait that communicates a story about your subject and your local area. Look for expressions and passing glances that might otherwise go unnoticed. You can edit your photographs before submitting them. Download them onto your ipads and use apps such as VSCO, Snapseed and Pixlr to edit them before submitting them as the appropriate size and resolution. Judging for the competition will commence after the closing date for entries on the 8 April 2016. Our panel will each pick 10 favourites from the entered photographs to create a shortlist ready for final judging. The successful entries will be displayed as part of an exhibition and auction, with all proceeds going to the Huaxin Rehabilitation Centre. We have an outstanding judging panel for the competition, which includes the Principal, Heads of School and select Faculty members. This competition is open to all students studying at BISS Puxi primary or secondary schools. Entries should be submitted by email here or submitted to Ms Selden on a memory stick. All images submitted must be the work of the individual student and they must own the copyright for the image. Entrants must ensure that the photograph they submit does not infringe any copyright of any third parties or any laws.